ProFM credential helps facility managers add value to their organizations by improving building performance and cutting costs. Over the past two decades, facility professionals have demonstrated conclusively that they can add value to their organizations. They are improving building performance to reduce costs and improve occupant satisfaction. They are playing key roles in sustainability efforts. They are helping to address a growing array of risks. Their successes have raised the bar for the profession as a whole, bringing higher expectations for financial savvy, innovation, and leadership. 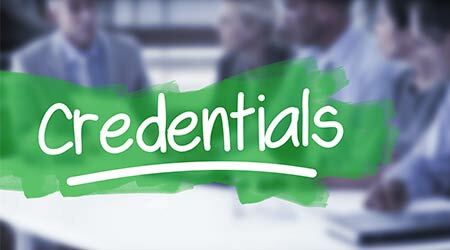 These new expectations drove the creation of a new credential for facility professionals: ProFM. The ProFM credential program will be officially introduced during the NFMT Conference and Exposition, March 20-22. The ProFM credential is a knowledge-based designation, focused on building knowledge and skills. It is applicable to facility professionals at any point in their careers. The ProFM credential is based on a body of knowledge that covers 19 functional topics in four areas — asset management, business management, risk management, and operations and maintenance — as well as five cross-functional competencies. That scope goes beyond the traditional definition of facility management to reflect the knowledge and skills required of today’s facility professionals. The body of knowledge was developed by the ProFMI Commission, an independent and voluntary group of respected facility management industry leaders with the common goal of elevating the facility management profession globally. The body of knowledge grew out of extensive research led by ProFMI and the ProFMI Commission with input from more than 3,000 facility professionals from 93 countries. The commission also oversees all aspects of the ProFM credential program — including development of the assessment exam scoring, eligibility requirements, and term of validity and renewal requirements — to ensure quality and impartiality. There are three ways to earn ProFM: self-study, instructor-led courses, or group training. In each case, applicants receive reading materials and online study tools, including quizzes. Applicants earn the credential by passing the online final assessment with a score of 70 percent or higher. The final assessment is available on-demand and may be repeated at no additional charge. There are no mandatory prerequisites for ProFM. The credential must be renewed every three years to ensure that knowledge is kept relevant and up-to-date. During that time, ProFM credential holders must earn at least 45 hours of facility related education.